The Battle of Hastings in 1066 marked the start of William the Conqueror’s rule over England when he defeated the Anglo-Saxon King Harold II on the battlefield. Less than 20 years later, his throne was threatened by Denmark. In order to know what sort of financial and military resources William had at his disposal in case of war, he ordered a massive survey of his kingdom. This assessment, the size of which was unrivaled until first general population survey of 1801, came to be known as the Domesday Book. 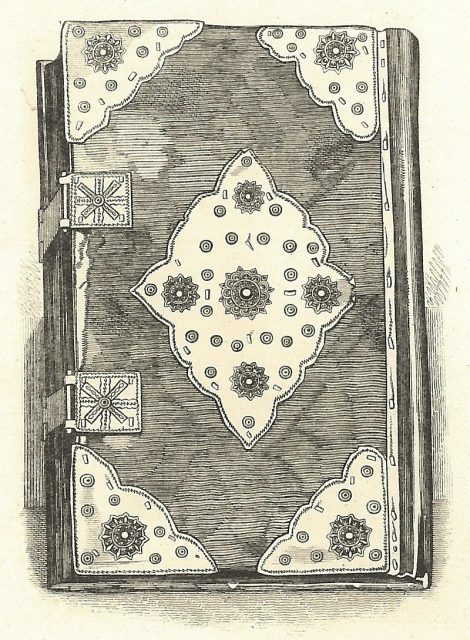 Great Domesday in its ‘Tudor’ binding, a wood-engraving of the 1860s. In 1085, around Christmas, William commissioned the survey of all of the boroughs and manors in his realm in order to learn exactly who owned what, what it was worth, and what taxes, if any, were owed to the King, as well as any rents or military service. As a result, the survey records what manors belonged to what estates, as well as the identities of the owners and the king’s principal barons and clergymen who held crown land, and who may have owed military service as knights. In essence, the survey, which only took a year to complete, was designed to record, trace and recover all royal rights and monies. 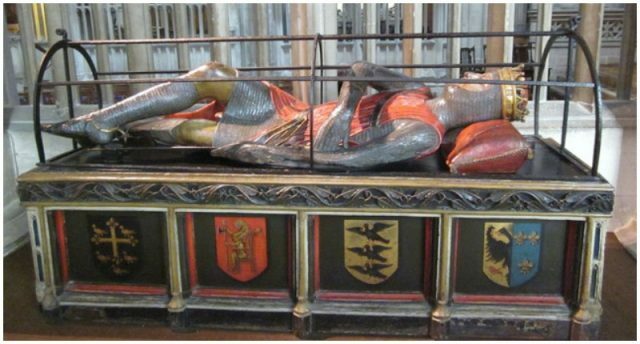 And it was not just for the benefit of the king; the chief barons had a vested interest to cooperate in the survey as it put into permanent record all of the tenurlal gains they had made since the start of William’s reign in 1066. “Then, at the midwinter , was the king in Gloucester with his council … After this had the king a large meeting, and very deep consultation with his council, about this land; how it was occupied, and by what sort of men. A page of Domesday Book for Warwickshire. The survey is not an examination of the entire population of England at the time, as the names of those who appear in the book were largely landowners. It has been used for centuries, however, as a legal and administrative document, and is invaluable to historians seeking to trace the history of a particular area or person. That being said, textual analyses by historians has also revealed that the book and its contents are not infallible. 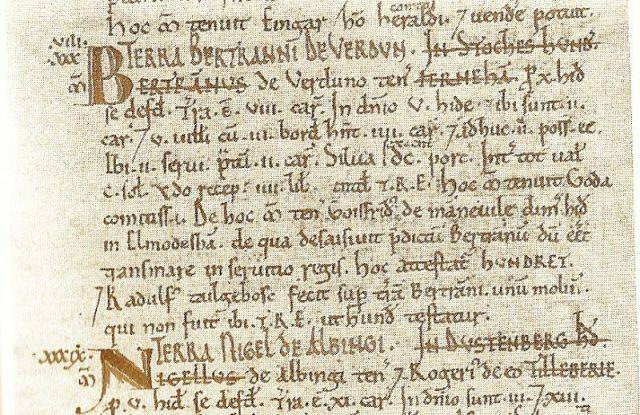 View of Bertam de Verdun’s “Domesday Book” entry. Consisting of 913 pages, and 2 million words, the book mentions more than 13,000 place names in England and some parts of Wales. It was written in Medieval Latin, which was the form of Latin used in Roman Catholic Western Europe at the time. 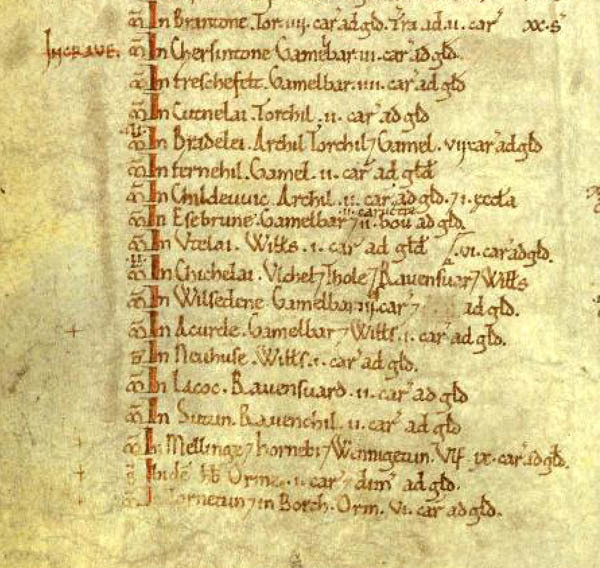 As was common with Latin, there are copious abbreviations in the Domesday Book’s language, but it also includes some vernacular, or local terms, which do not have Latin equivalents. 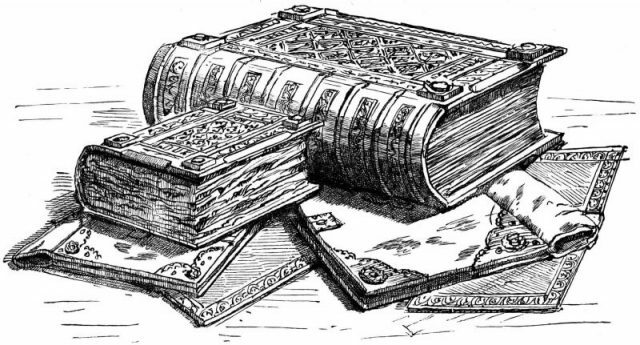 Domesday Book: an engraving published in 1900. Great Domesday (the larger volume) and Little Domesday (the smaller volume), in their 1869 bindings, lying on their older “Tudor” bindings. The “book” was originally a set of two volumes: Great Domesday and Little Domesday, which was ironically the longer version. It was re-bound in 1984 – almost 900 years after its completion – into five separate volumes, with the hope that this will improve its chances for preservation for another 1000 years. 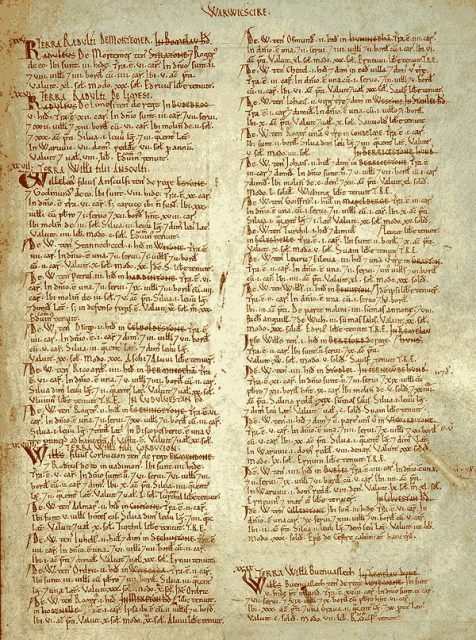 Great Domesday is believed to have been written primarily by a single scribe, although the handwriting of a second person has been identified in some notes and entries. 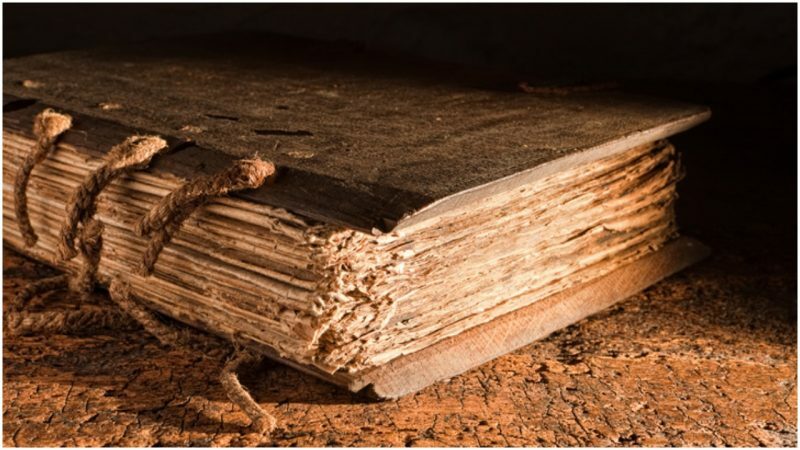 Because the entire book, like all publications before the printing press, was hand done, errors and inconsistencies were inevitable; it is over these errors that historians argue and exercise some caution against taking everything in the book at face value. Little Domesday is smaller in physical size than its companion volume, hence its name, but it is actually longer and more detailed, specifically with regard to the description of livestock belonging to a manor. As many as seven scribes worked on Little Domesday, and it, too, consists of errors, likely caused by the speed at which it was written. Not covered in the book, however, are several important cities, including London, Winchester and Bristol. Only certain parts of the Welsh border are covered, and not every town or village that existed in 1085 is included in the Domesday Book. 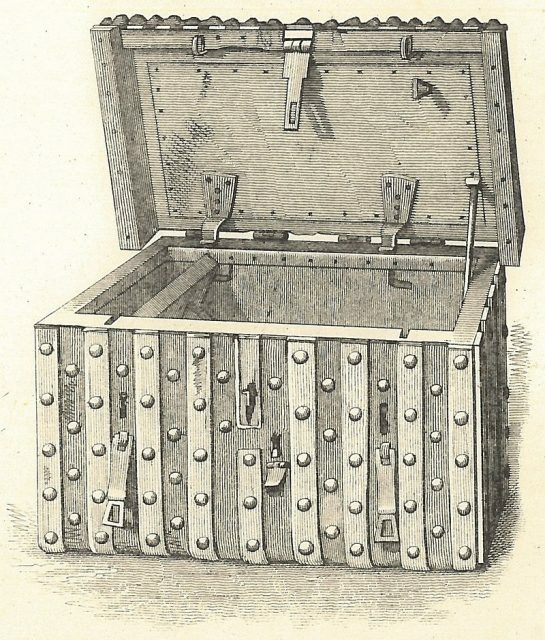 Domesday chest, the German-style iron-bound chest of c.1500 in which Domesday Book was kept in the 17th and 18th centuries. For example, the book has an entry for Shepshed, near Loughborough, but the settlements of Long Whatton, Lockington and Hemington, which were included in its borders, are not mentioned. That being said, we know that many other villages and settlements date back to pre-Domesday years thanks in part to Anglo-Saxon charters, architectural evidence, or even the origins of the place name itself. 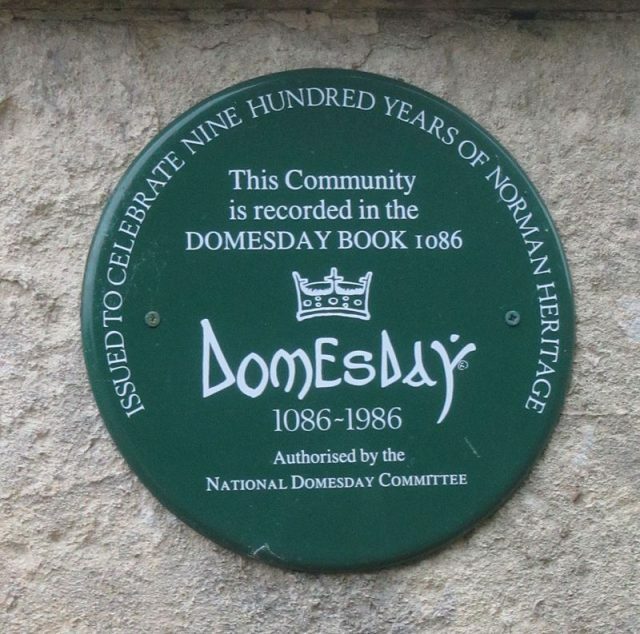 In 1986, memorial plaques were installed in settlements mentioned in Domesday Book. The name by which we know the extensive survey today – Domesday – was not given to the book until almost 100 years after it was written. It came to be known as “Domesday” as a metaphor for the last day of judgement. Because of its importance, not to mention the fragile nature of the book due to its age, the survey rarely goes on public display. It is currently on loan from the National Archives to the British Library as part of its Anglo-Saxon Kingdoms exhibition, which is on until February 2019. It is also available online via several sites, including that of the National Archives of the United Kingdom.